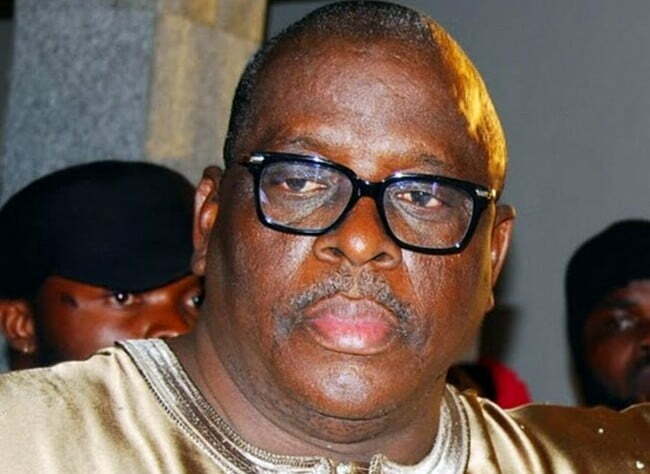 The Senator representing the Ogun East Senatorial District, Buruji Kashamu, has attacked a former Acting Chairman of the Peoples Democratic Party, PDP, Senator Ahmed Makarfi, describing his era as the worse since the inception of the party. He said this while advising the aggrieved members of the PDP not to divide the party but to approach the court to get justice. He condemned plot to factionalise the Peoples Democratic Party by some of its members, adding that it was wrong to divide the party. The Senator said this in a statement issued in Abuja on Wednesday, where he described the actions of those behind the formation of the “Fresh PDP “ as illegal. He said, “Undeniably, the Makarfi caretaker committee administration was the worst in the annals of the PDP. “An extremely deplorable era, Makarfi presided over the party with unimaginable impunity, indefensible disobedience of valid court orders and judgments, refusal to uphold democratic established order and practices; crowned with selfishly parochial dissolution and manipulations of existing party state structures and consequent creation of amenable convention delegates. “As deplorable as the Makarfi assault on our party is, the formation of a parallel national leadership christened as Fresh PDP, is totally condemnable. It is illegal, undemocratic and anti- progress. “I strongly advise the architects of that contraption to quickly disband same and channel their grievances and claims to the constituted authority of our party and if found inevitably desirable, to approach the courts for judicial adjudication. “No matter the provocative injustice, I shall remain irrevocably an advocate of adherence to law and established due process. Resulting to self – help and illegal manipulations is primitive uncivilised and clear invitation to anarchy. “This was my position when Makarfi dissolved the Ogun PDP exco in disobedience to a validly substituting high court judgment and multi orders to the contrary. “It might be long and torturous to obtain judicial vindication over injustice, but adherence to rule of law remains the best and most certain option to curb illegality and unjustifiable aggression.